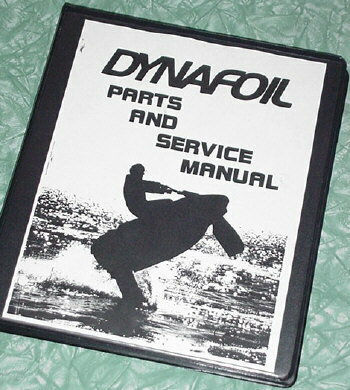 Thanks to fellow Dynafoil owner Russell Autry, I now have a complete Dealership Parts & Service Manual. It includes a color, 8 page Walbro WDA, WD, WR carb manual, all the Dealership 'pre-purchase' and 'pre-delivery information, as well as the warranty and warranty claims information. I'm having these professionally copied and put into 1" thick, 3-ring binders, just like the original. 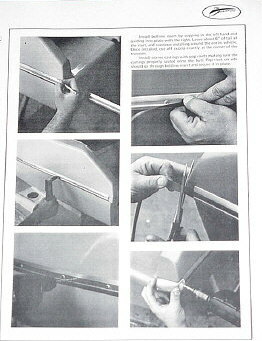 The individual sections are even seperated by a blue page, just like the original. There are literally hundreds of black and white photos and they have reproduced perfectly do to the quality of the copier used. This is an expensive and time consuming process and that is reflected in the price, as well as in the time it takes to get one made for you. The price of the manuals is $45.00 and that includes shipping in the USA. I will be happy to ship internationally as well, but the price will be significantly higher due to the weight of the book.